Global warming is one of the burning issue and it is the result of excess greenhouse gases, created by burning fossil fuels and destroying tropical rainforests. Carbon dioxide (CO2) is a major greenhouse gas and trees make great filters of carbon dioxide. According to United Nations Environment Program (UNEP) “Forests are natural and economically important ‘sinks’, sequestrating carbon from the atmosphere and locking it away in trunks and branches. 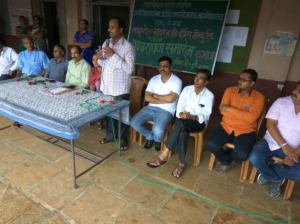 Considering this, we at Corru- Cartons India Pvt Ltd (A GreenCo gold rated certified company) in collaboration with NGO Navdrushti and Godrej Interio, jointly decided to initiate Trees Plantation Drive at Wada, one of the remote village in Palghar District. The idea behind the drive was to spread the awareness amongst the school and college students and make them responsible towards our mother earth. 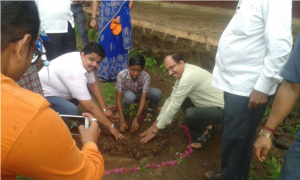 Aprox 350 Trees were being planted and adopted by the students. At early stages, care would be taken by students which will be monitored by us once in every month. Providing genetic resources and natural medicines. 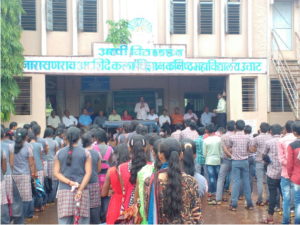 Students gathered at Aspi Vidyalaya, at Wada for Trees Plantation. Addressing the youths about significance of trees plantations. A Student and company representative planting trees. TEI is concerned with Teamwork- Enthusiasm- Initiative towards achieving our organizations success. “TEI is based on trust, integrity, two-way commitment and communication between us and our employees”, says the Director of Corru Cartons India Pvt Ltd. It is an approach that increases our productivity, quality, and organizational performance. 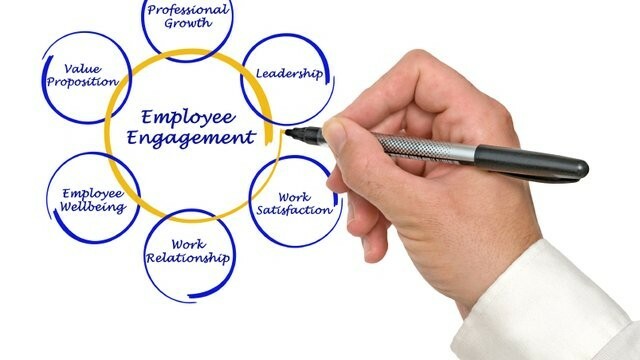 It motivates our employees and make them enthusiastic to work better and better. Getting Creative and innovative Ideas. Improves Quality and reduces wastage. Getting best out of employee’s talent. 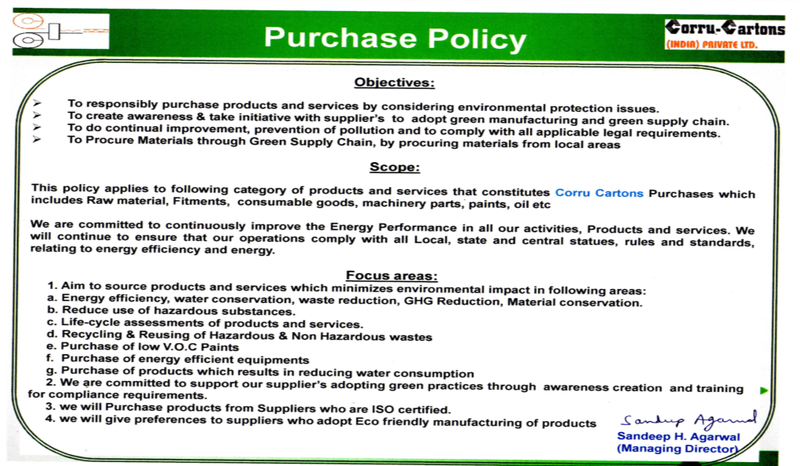 Our Change in Mindset from a cost centre, to an understanding of how socially and environmentally friendly practices can become value adding activities for Corru Cartons (I) Pvt Ltd, gave us a green signal to move towards Green Supply Chain. The foundation of our successful workplace safety is employee’s involvement in identifying unsafe acts and conditions followed by providing them opportunities to minimize and eliminating the same. Thanks to TEI (Total Employee Involvement) Activities such as Birthday Celebrations, Sports Tournament, Rewards and Recognitions for 100% Attendance, Best suggestions and many more, which helped to change the mind set and developed a safety culture. Corru Cartons (I) Pvt Ltd, Director Mr. Sandeep Agarwal along with his core team and fellow members always figure out innovative ideas and initiatives to create a safe working environment. 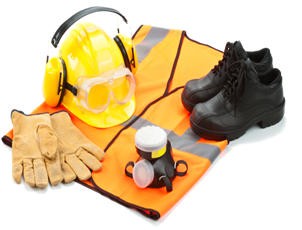 Our employee’s safety is not only limited to PPE (Personal Protective Equipment’s) but also it extends beyond it. We believe PPE as last resort for safety. If the hazard cannot be removed from the workplace or engineered out through mechanisms, and cannot be mitigated by work practices, then, and only then, we consider PPE for employees. Our Safety Suggestion Box is well utilized by our employees to share their valuable suggestions on safety and creating a safer work place. Many suggestions flow in monthly and our Safety Team acts on it accordingly. As workplace safety is important so is the Health of our employees. We conduct yearly medical check-ups camp, Conduct seminar on health hazards due to eating tobacco and smoking. Our Quit Tobacco campaign was proved to be successful when 40% of workers who were addicted to tobacco quitted it the same day and rest pledged to leave it gradually within some months. Fire Fighting Training at regular intervals. Safety Posters displayed all over the shop floor. Safety Guards provided on Machines. Walls corner provided with Safety Edge. Pallets used for materials movement inside the factory. The seeds of Safety are giving us fruits in terms of improved productivity, higher profitability, standard quality and most important boosting our employee’s morale. CII Annual Conference on Occupational Health and Safety attended by Mr. Sandeep Agarwal ( Director of Corru Cartons India Pvt Ltd) on 10th August 2017. Businesses across the globe have begun to realize the impending impact of their actions on the environment and their contribution to the ecological sustainability. Towards promoting ecological sustainability in industry, CII has developed the GreenCo Rating System to assess ‘How Green is a Company’. Corru Cartons India Pvt Ltd, a Small and Medium Enterprise located in Palghar, Maharashtra is recognized to be the Gold Rated GreenCo Company by GreenCo Ratings. As a registered member with GreenCo, the Managing Director –Mr Sandeep Agarwal and his team journey towards going green started with the immense training from Godrej CII GreenCo Cluster. Godrej Interio played a significant role in molding our culture towards Sustainability. Our dedicated team brought forward their suggestions for Environment Conservation and accordingly we started the implementation work. First of its kind in the World, the GreenCo Rating System, is a holistic mechanism, that drives companies to pursue green & be profitable simultaneously and provide a path for continuous ecological improvement and guided phase growth. As on December 2016, 85 companies are GreenCo rated and more than 250 companies are working on the rating. 595 Million Rs / yr – Reported Savings from 30 companies. 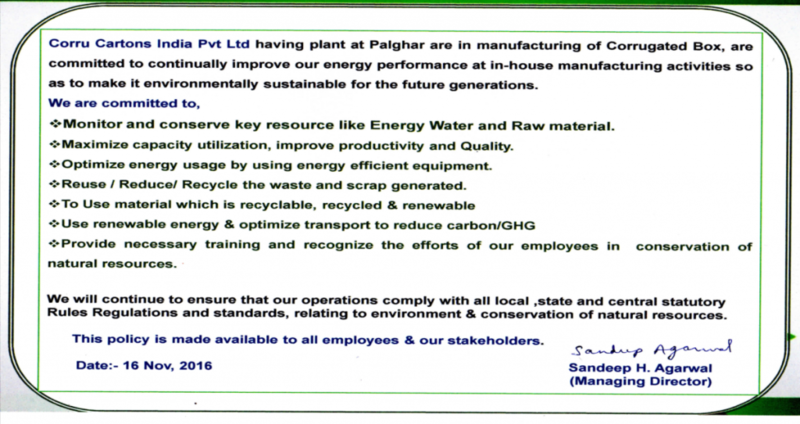 The Green Rating System for Companies advocates a performance based approach. 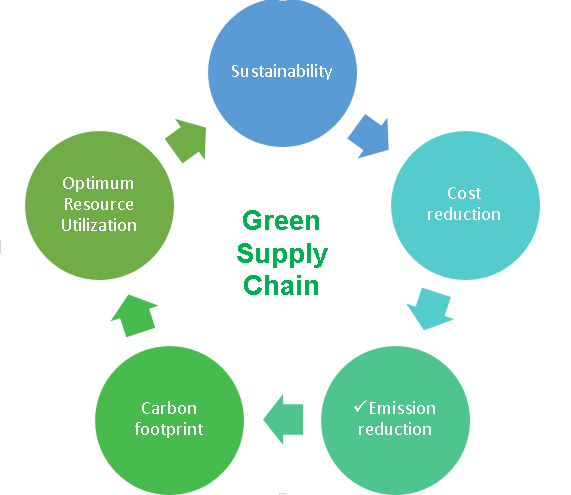 It aims to provide leadership and guidance to businesses on how to implement green strategies. 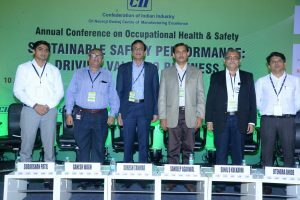 CII in its endeavor to recognize, encourage and support the efforts of Indian industry in conservation of natural resources and pollution prevention organized the CII Environmental Best Practices Award on 21st June, 2017 at Hotel Conrad, Pune. Awards were granted to units, who made significant and measurable contribution towards development or use of cleaner technologies, processes or practices for environmental protection. Recognize & award environmental best projects implemented in the Indian Industry. Facilitate sharing of information on benefits amongst industry to implement best environmental practices. Instill a sense of competition to motivate other industries to implement more innovative projects. Biogas Plant: Installed Bio Gas offset of 2448Kwh/year domestic LPG consumption reduced by LPG Cylinder of 15 kg . Solar Roof Panel: Solar Power of 30 KWP offset 37570 Units of Electricity. Rainwater Harvesting: 89% of potential rainwater is captured. Green Belt: The total green belt area is 32.66% of the total Plant area. Padma VibhushanDr. 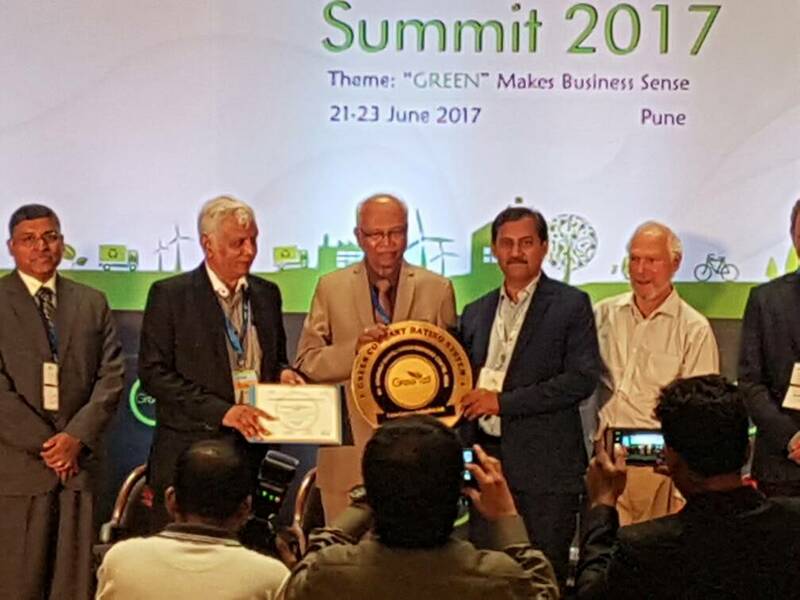 R.A. Mashelkar & Padma Bhushan Mr. Jamshyd Godrej (MD of Godrej & Boyce) awarding GreenCo Gold Rated Trophy to Mr. Sandeep Agarwal (Director of Corru Cartons (I) Pvt Ltd) at GreenCo Summit on 21st June 2017 in Hotel Conrad, Pune.